Former SAC Capital trader Michael Steinberg in a file shot taken outside of court. Michael Steinberg, a former trader for the hedge fund firm SAC Capital, was sentenced to 3-1/2 years in prison Friday for insider trading. Steinberg was convicted last year of four counts of securities fraud and one court of conspiracy for shorting technology stocks Dell and Nvidia (NVDA) based on inside information. Each of the conspiracy counts could have carried a sentence of up to 20 years in prison. Steinberg was also fined $2 million and ordered to forfeit $365,000. U.S. Attorney Preet Bharara, who has brought a number of high-profile insider trading cases in recent years, argued that Steinberg should be sentenced to between 63 and 78 months in prison, the amount of time called for under federal sentencing guidelines. He also asked that Steinberg be ordered to return $365,000 he was paid in 2008 and 2009 when he was trading on insider information. Steinberg's lawyers had asked for no more than two years, and that he remain free on bail while his appeal proceeds. They cited his charitable work, his young children and shorter sentencing given to other hedge fund managers who were guilty of insider trading. U.S. District Court Judge Richard Sullivan, in issuing a sentence shorter than prosecutors sought, said he was moved by the 68 letters he received from Steinberg's family and friends. "You are unlike anyone I have ever sentenced," said Judge Sullivan addressing Steinberg and the court. The letters showed Steinberg helped sick people and was also kind, letting people stay in his apartment during Hurricane Sandy, among other things. Steinberg worked at SAC Capital, a hedge fund firm in Stamford, Conn., founded and managed by billionaire Steve Cohen. Federal authorities took the unusual step in July 2013 of charging the firm with insider trading, with a pattern of "substantial, pervasive and on a scale without known precedent in the hedge fund industry." The firm settled those charges with a $1.8 billion fine in November. As part of the settlement, the firm, which has been renamed Point72, is no longer permitted to manage money for outside clients. The federal government has been circling Cohen and his fund for years, charging numerous employees with insider trading. Six of them have pleaded guilty. 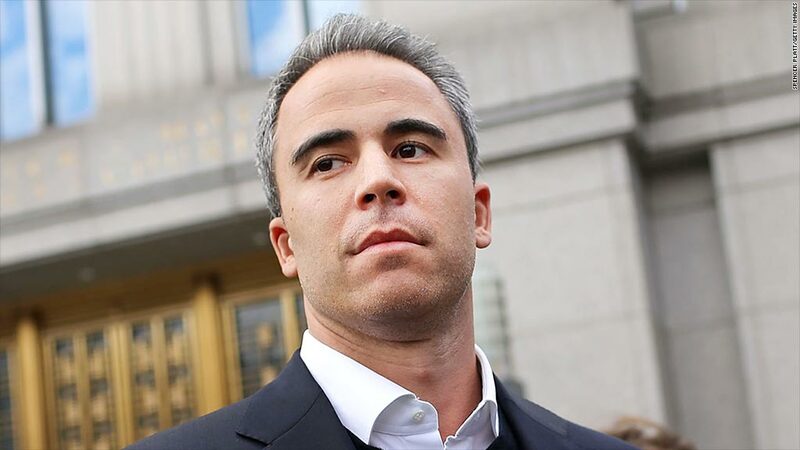 Only Steinberg and Mathew Martoma pleaded "not guilty" and fought the fraud charges. But they both lost. Martoma will be sentenced on June 10 for insider trading involving the biotech firm Elan and Pfizer' (PFE)drug unit Wyeth. He faces up to 45 years in prison and remains free on a $5 million bond. Barry Berke, Steinberg's lawyer, asked the judge that Steinberg be sent to the Otisville Correctional Facility for incarceration. Otisville is a medium security state prison located in Orange County, New York.